Based Sweets theme for 1st week. Hope all of you like this recipe. pan and boil on medium flame. and chopped mixed nuts. Stir it well. well. Let it simmer for 10 minutes. pinch of saffron also for better taste and appearance. simplytadka, stove cooking, rice, milk, sugar, cardamom, nuts, food blogging. Check out the Blogging Marathon Edition # 72nd for more recipes. Welcome back Preeti creamy looking and delicious kheer all time favorite. Good to see you in BM. Lovely sweet start to the year! Welcome back Preeti,nice to have you back.Such a delicious and creamy kheer. Welcome back Preeti, glad to see u again. Lipsmacking here, such a fabulous payesh. The kheer looks so thick, creamy and delicious. Love the creamy kheer and your props. 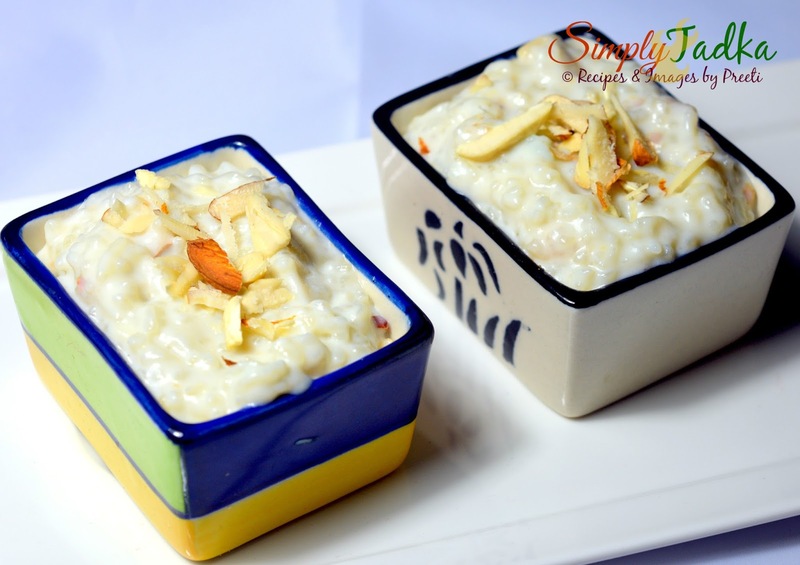 What a creamy and delicious looking rice payasam. I am very fond of kheers and rice kheer is one of my favourite . Good to see you again Preeti. Nice Kheer. Welcome back Preeti! The kheer looks so creamy and delicious. Welcome back Preeti! The kheer looks awesome. My kind of sweet dish. So creamy and yummy.